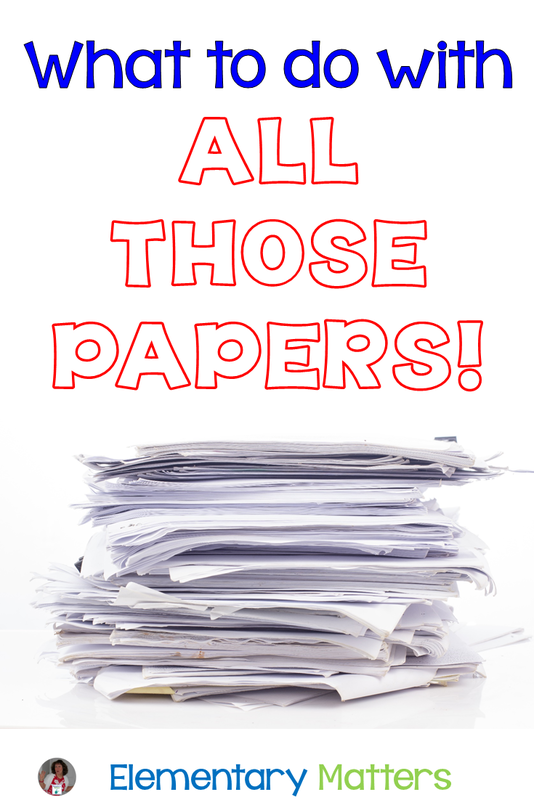 Elementary Matters: What to do with All Those Papers! No matter how we go about it, there are always papers at the end of the day. Once they're all corrected, what do you do with them all? I used to give them back at the end of the day, but I found they'd get lost in backpacks. The kids wouldn't even look at them, and they'd never get home to be seen by families. Then I decided to file them, and send the paperwork home in an envelope once a week. The work got home successfully! The parents got to see it and anticipated the work coming home every Wednesday! But then, the kids never got to see their own work! That means they never got feedback on their written work! We all know feedback is what feeds learning. If the children don't know if they've done well, how do they know to keep doing it? If the children don't know they've made mistakes, how do they know to stop doing that? 2. They find the previous day's papers on their desk in the morning. They take a few minutes to look them over and see their feedback. 3. They file their own papers to be saved for the week. 4. Those papers are sent home weekly in an envelope for the parents to see. That's my bright idea for April! If you like what you see here, please consider following me on facebook, Pinterest, or Teachers Pay Teachers. 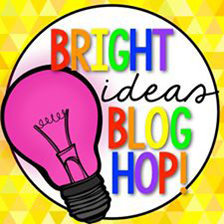 For more bright ideas, feel free to browse the linky below! Giving this one a try next year! Thanks for the idea!! :) Hopefully this will get the papers out of the piles (oops). Thanks Kelli! It's still time consuming, but worth it! Thanks, Lori! Most of the children are quite interested to see how they did! One more addition. 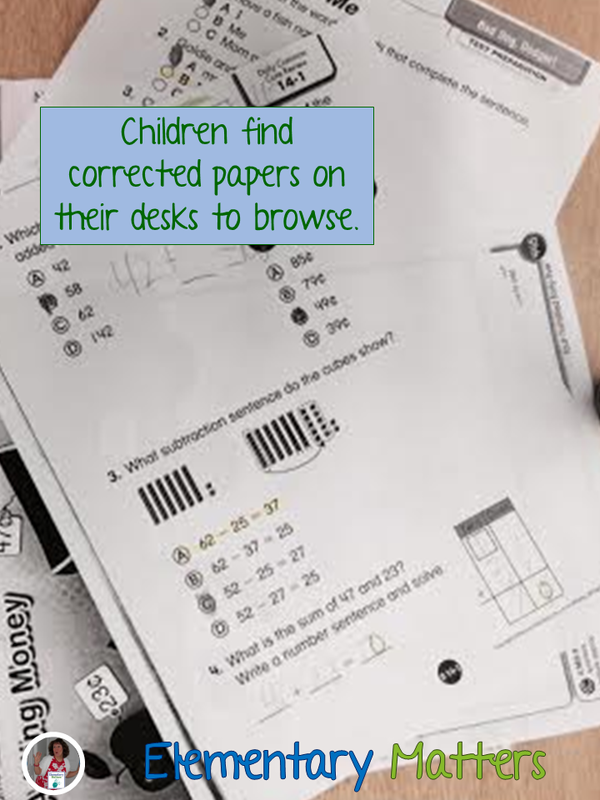 I have a volunteer work one on one on the kids making corrections BEFORE the papers go home. Thanks, Laurie! Volunteers are great for helping in this way! What a great idea! 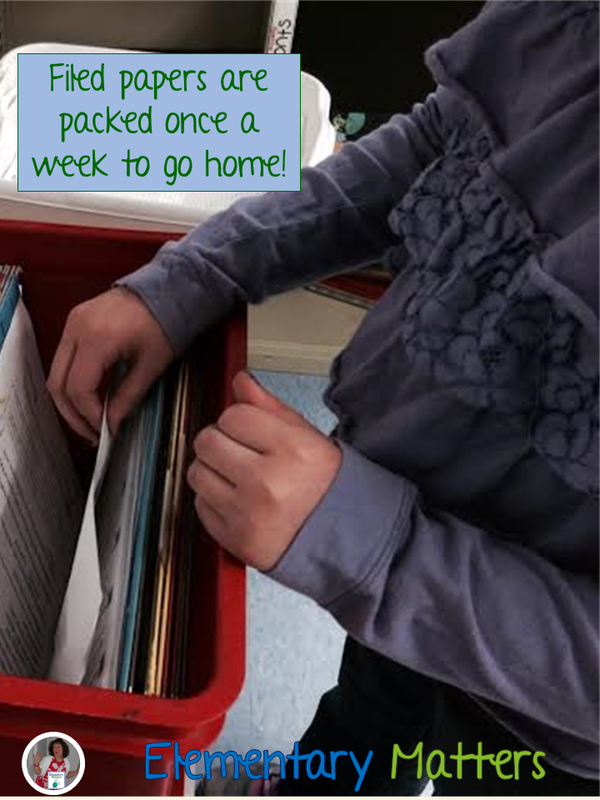 I always just file the papers away, but I'd love to give the kids the chance to read their feedback. Thanks for sharing! I'm always glad to share! I did the same EXCEPT I didn't let the kids browse before filing them. What a great idea!!!! I love this! I already have the create with folders, but I have someone else file them for me. The kids don't see their work until I get around to sending it home. I LOVE the idea of having them look over papers in the morning, and then file them. Thank you for sharing!! It took me years to figure out that the kids need to see their own papers!